Once the world was full of wonders, but it belongs to the humans now. We, creatures, have all but disappeared. Daemons… vampires… witches… hiding in plain sight. Ill at ease even with each other. But, as my father used to say, in every ending, there is a new beginning. 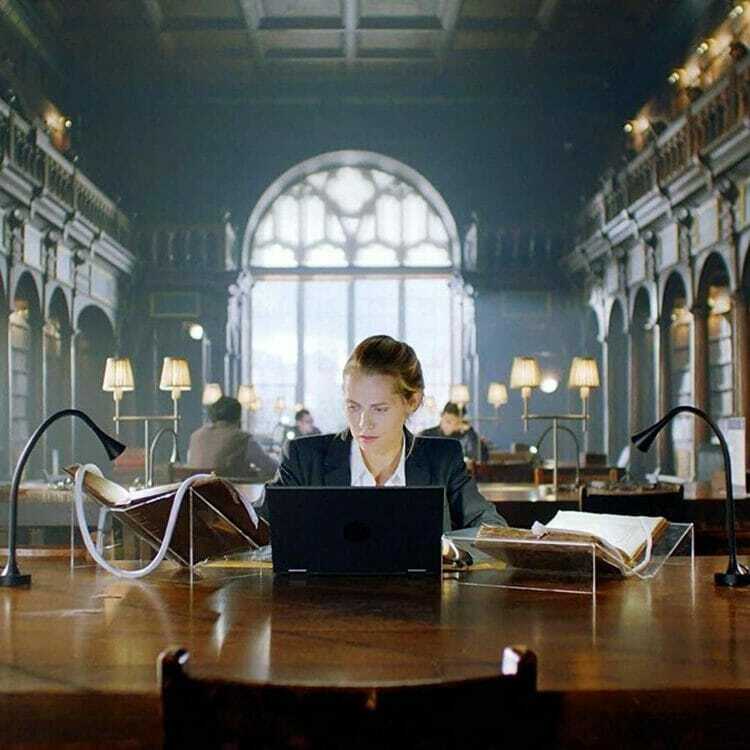 Thus we have the beginning of the English Horror series A Discovery of Witches, and it deals with a young woman in Oxford who is a historian, specifically in alchemical history. She has been away, but has recently returned and is even offered a chance for tenure. All she needs to do is publish a specific work on alchemy and history and it will practically be guaranteed. There is just one minor hiccup. She’s a witch. It seems that “creatures” (the term used for daemons, vampires and witches) are all in hiding. They exist in broad daylight, but they never betray who, or what, they really are. Now the young woman, Diana Bishop (Teresa Palmer), has rejected that aspect of her life, despite the lineage of witches she comes from, including the very first witch to be hung during the Salem Witch Trials. She has quite literally buried her powers within her and has chosen to live a “normal” mortal life. 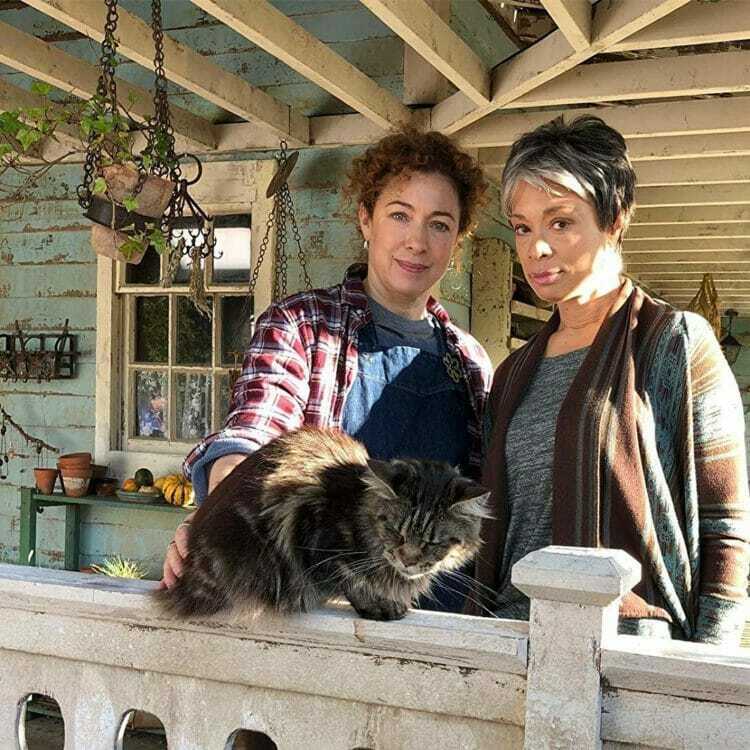 She does have friends who are witches, as well as her Aunt Sarah (Alex Kingston) and her partner Emily Mather (Valerie Pettiford). She is also an orphan as both her parents had been killed in an accident. While doing some research for her paper she puts in a request at the Bodleian Library for some books by Elias Ashmole. One of the books has been notoriously missing. Many people have been requesting this specific volume of Ashmole, only to be told that it isn’t in the library. However, when Diana requests for this volume it suddenly appears. Once she starts to examine the book strange things begin to happen. Mysterious text appears on some of the first few pages, but before she can close the book she is left with a rather significant burn mark on her hand. 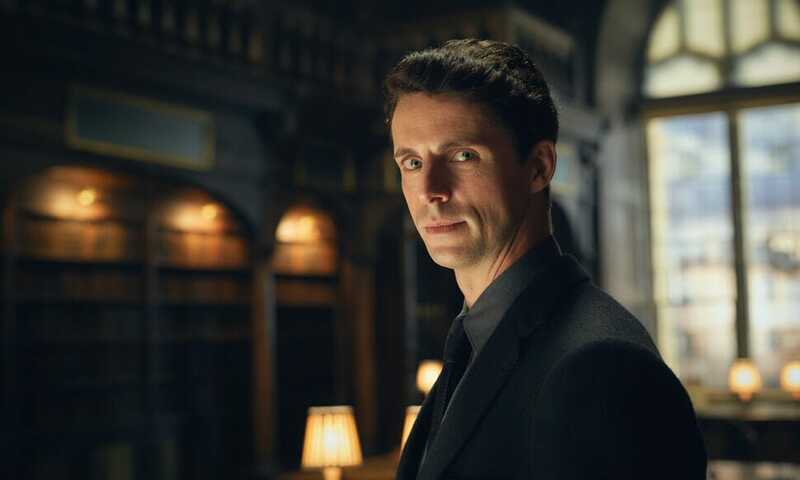 Enter Dr. Matthew Clairmont (Matthew Goode), a professor of biochemistry at Oxford who also happens to be a vampire. He has sensed a surge in supernatural power and that it surrounds Diana. He also has learned that she was able to call forth Ashmole 782 (the mysterious volume in question). He wants this book as well, but his reasons for wanting it appear to be both academic and perhaps even humanitarian. Oh, vampires and witches are supposed to hate each other. You can count daemons as part of that as well. All three magical species of creatures are enemies, but due to the terms of the Covenant set forth by the Congregation (a ruling body of vampires, witches, and daemons) they are not to attack or harm one another or possibly risk open warfare between the species. 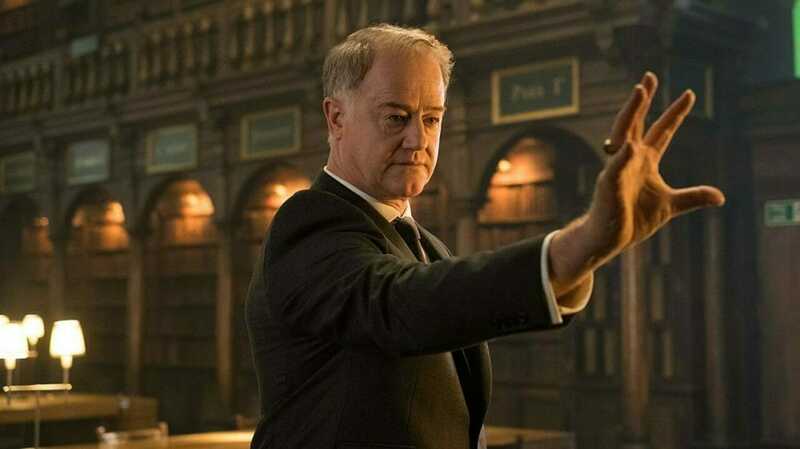 Everyone of Diana’s witch friends tell her to avoid any contact with Matthew, including an older, mysterious, and menacing gentleman named Peter Oxford (Owen Teale). 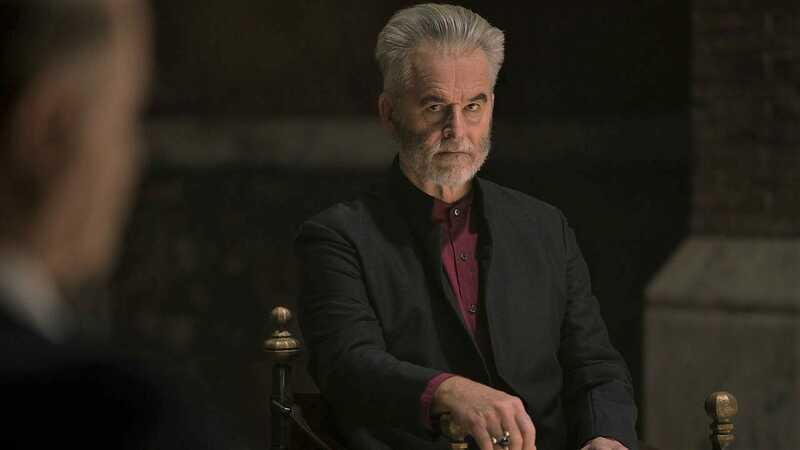 He’s very much after the book based on the belief that the first witch spells are recorded in Ashmole 782, and that it reveals the secret that created vampires. His hope is that it will also give witches the secret on how to “un-create” vampires. Diana finds this idea abhorrent and will have no part in his quest. Meanwhile, one of the heads of the Vampires is Gerbert D’Aurillac (Trevor Eve), and he’s now troubled because he has learned of Matthew’s interest in Diana, and sends his wayward daughter, Juliette (Elarica Johnson) to find Matthew (she has some very strong feelings towards him). Back at Oxford, Diana has decided to get some answers for herself and requests for Ashmole 782. Unfortunately she is not alone. Peter Oxford appears there, as do a number of other witches. When the librarian senses that Diana is being threatened he asks for them to leave, only to be attacked magically by Peter and is rendered unconscious. This sends Diana into a rage whereupon she summons a witch wind (something that hasn’t happened in centuries) and dispatches all of the other witches in the room. Matthew has sensed what is happening and comes to her rescue. He manages to get her out of the library and delivers Diana to her apartment. It is then he realizes how important it is to keep her safe, so he choses to take her to his old family home back in France. 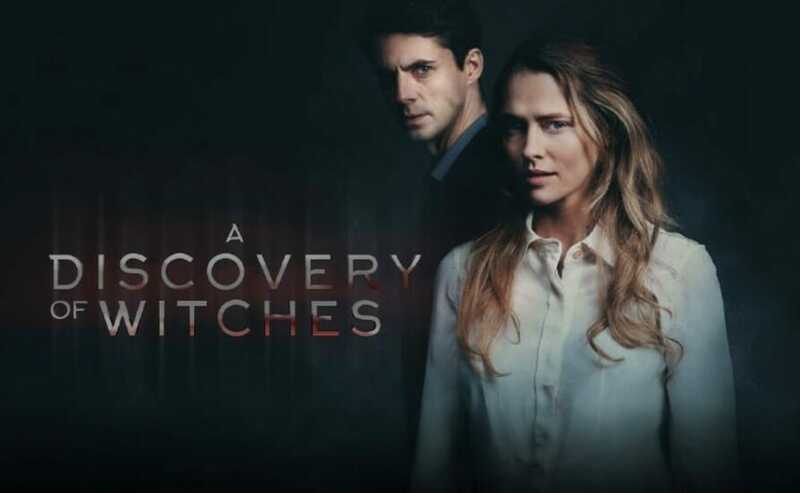 A Discovery of Witches is adapted from the “All Souls Trilogy” by Deborah Harkness, with this title being volume one, meaning we can assume that this will be a three season series. 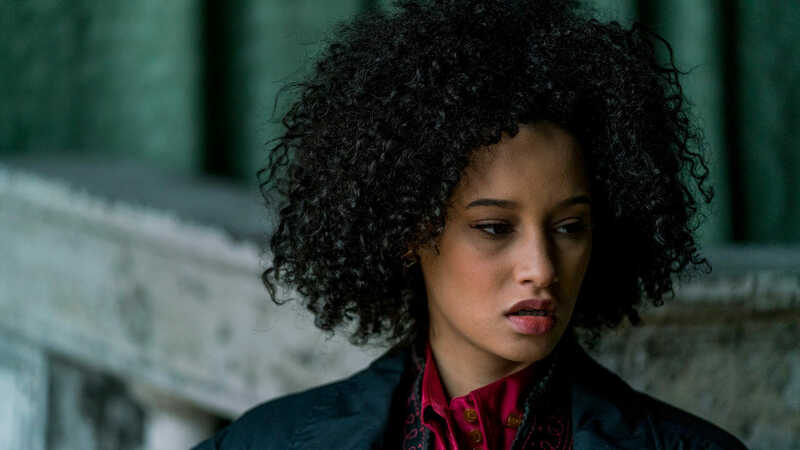 What we see in just the first three episodes is some wonderful character development and some outstanding plot development almost at an equal level. The plot portion is kept slightly behind lest this could turn into a serious case of info dump. Luckily since this is an 8 episode first season it allows for the plot portion to be more easily dealt out. In fact I would almost say it’s not enough as Keith and I could not wait to get to the next episode (all 8 episodes dropped the same day). The primary characters of Diana and Matthew are wonderfully played. Teresa Palmer brings a fun, youthful spunkiness to Diana making her the kind of character that everyone wants to be friends with. She’s extremely intelligent, but also quite likable. This serves as an interesting counter to Matthew Goode’s turn as Matthew Clairmont. With striking features and incredibly large eyes he creates that aura of sensual mystery that has made many characters in vampire lore so alluring. At the age of 40 (he looks more mid to late thirties) he carries and expresses himself as a man with an almost eternally old soul. Yet when in the presence of Diana there is a spark in Matthew Clairmont’s eye. Even as he tries to subdue his cravings for her, he acts as if something is coming to life in him that had long since been dormant. It’s that subtlety of acting that not only pulls in the viewer; it also reinforces Goode’s performance as a centuries old vampire. The plot of this series is extremely compelling as the race is on to discover the mystery behind Ashmole 782. Witches believe it to mean one thing, while vampires believe it to contain something else. Daemons are considered as “third class citizens” among all of the creatures, including themselves and have never been given any opportunity to look at any ancient texts regarding their origins. Now there is this race against time as the first witch and vampire (And possibly even a daemon?) must join forces in order to find and decipher the secrets of Ashmole 782. So not only is this considered something of a horror, it’s also sort of a political thriller on a supernatural level. There is a mystery to be solved and after only three episodes watched I can say that this is a truly intriguing and exciting series, and it can be found on the streaming service Shudder, or on the website Shudder.com.